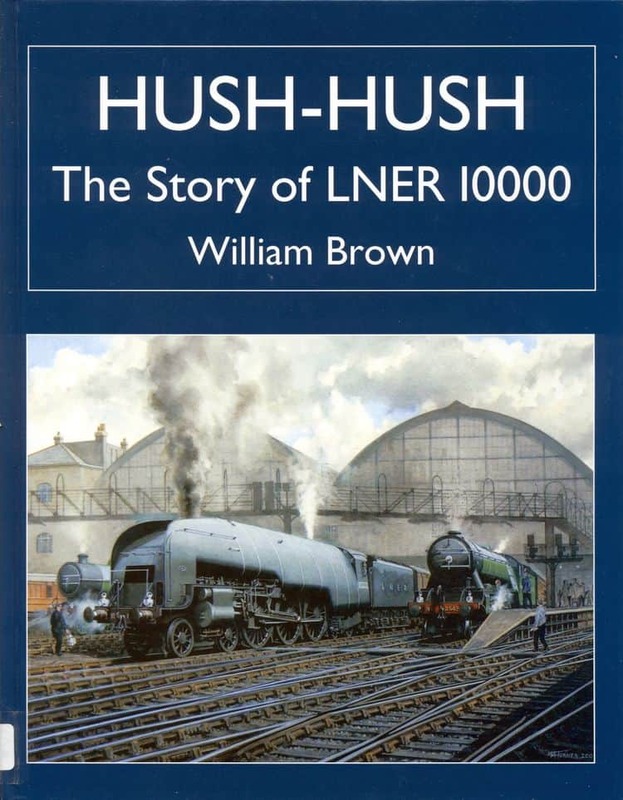 William Brown's Hush-Hush: the story of LNER 10000. This is a difficult book to tie down, especially as the Author failed to use either steamindex or its hard-copy precursor and therefore fails to note several significant works including patents which relate to the design. It is almost entirely based upon the contents of one single file stored in the National Railway Museum and the author's comments interwoven into it. There are many excellent (and excellently reproduced) illustrations and a considerable amount of "new" material, but the book suffers from a lack of skill in authorship and is not helped by a comparable lack of editing. The book is badly constructed and poorly written: "When I was apprentice at Shildon Works the body of Royal Sovereign was grounded near the level crossing at the entrance of the works. Not to be confused with Tyneside electric trailer car E29388E that was on its wheels in the sidings near the station. The Sentinel..." The lack of a "the" before apprentice, the lack of italics for the name of the railcar, and the introduction of the superfluous electric trailer car do not assist comprehension. Nevertheless, Brown does draw together the Sentinel story with the W1 story, but within a short distance in the text falls for the elementary mistake of calling Colombia "Columbia". The "file" throws up some interesting potential leads. For instance, it mentions C. Schlegel as one of the players: a little further research shows that he was highly antagonistic to compounding having practical experience of the Smith/Worsdell Atlantics in his care! Nevertheless, the book does provide many leads, such as the one noted on Schlegel and correspondence between Professor Dalby and Gresley. Unfortunately the lack of an index does not assist further research: a Kindle version would be useful.